In the late sixties Ugo Nespolo attends the Schwarz Gallery that counts among its artists Duchamp, Picabia, Schwitters, Arman, Baj. A solo exhibition is held in Milan at Schwarz organized by Pierre Restany that will remain his critic friend. The exhibition title is “ Machines and conditional objects” and represents the beginning of the movement that will become Arte Povera. Germano Celant, with who Nespolo will attend a series of exhibitions that will be the first ones with the group, is present at this exhibition. The most important one will be held in Rome entitled “Nine for a path!” He will start a long friendship with Enrico Baj, that will last forever. With Baj, Nespolo will hold exhibitions, conferences, attendances in Europe and USA. Baj, Fontana, Pistoletto, Boetti and Merz will be the performers of his films for many years. With Baj, Nespolo goes round with Man Ray in Paris, who will give him a text for the film “Revolving Doors”, film that Nespolo will realize in 1987. 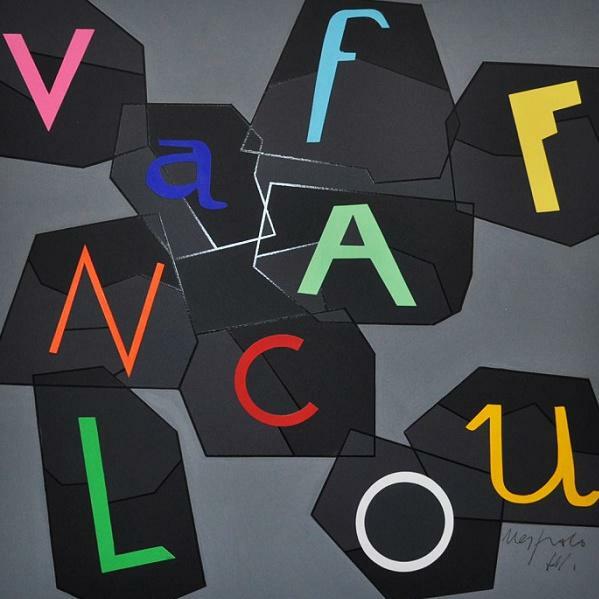 In France since the late sixties Nespolo attends Ben Vautier and actualizes exhibitions and performances. Again in 1968 in Turin he holds a series of exhibitions and meetings entitled “Les mot et les choses” where with Ben, Boetti and others he gives rise to a series of events and Fluxus concerts never produced before in Italy. Meeting the artists of New American Cinema: Jones Mekas, Warhol, Yoko Ono, P. Adam Sitney gives the go to the beginning of the cinema of research in Italy. Nespolo is the promoter, as we can see in the exhibition “Nespolo Cinema / Time after Time” at the Museum of Cinema in Turin. Nespolo’s films have been projected and discussed in the main museums around the world. In France, the Centre Pompidou realizes projections entitled “Nespolo – le cinema diagonal”. Twice the Musèe National du Cinema in Paris proposes projections of his films. Nespolo is currently the highest Italian pataphyisique authority. He founded with Baj the Patafisico Ticinese Institute and is honored to have his diploma signed by Raymond Quenau, that appreciated a little book of formal logic written by Nespolo and printed by the publisher Schwarz in 1968. He exhibited with intensity in galleries and museums in Italy and around the world.